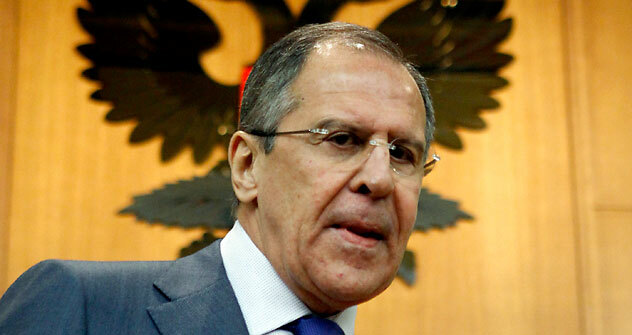 Russia’s foreign minister tells the U.S. to lift the Jackson-Vanik amendment or face economic retaliation. Is this the best move for U.S.-Russian relations? Russian Foreign Minister Sergei Lavrov has warned the U.S. to stop applying economic sanctions prescribed by the Jackson-Vanik amendment or face difficulties in its economic relations with Russia. Lavrov said that if the sanctions do not stop, Russia will not comply with its World Trade Organization (WTO) commitments toward the U.S. and seriously complicate the economic activity of American businessmen in Russia. The Jackson-Vanik amendment, adopted by the U.S. Congress in 1974, restricted trade with the Soviet Union and other communist countries that prevented the free emigration of Jews. According to Lavrov, the amendment contradicts the basic principles of the WTO because it discriminates against Russia. Russia is expected to shortly ratify all documents related to its WTO membership, which was finally offered on Dec. 16 after 18 years of negotiations. Although Lavrov’s move would seem to affect U.S.-Russia relations, experts from both Russia and the U.S. are reluctant to say that there will be any long-term consequences. But even if Lavrov’s comments are directed at a domestic audience, they could still affect its foreign relations. Regarding the Jackson-Vanik amendment, Russian and American experts point out the urgent need to scrap the amendment as an outdated Cold War relic. Lozansky is doubtful about Lavrov's ultimatums. “Taking into account that the U.S. business community is interested in resolving this case as soon as possible, a wise PR campaign in Washington may lead to better results,” he said. Feifer also questions the effectiveness of such a strategy. He believes that Moscow’s tough rhetoric may complicate the process of lifting the Jackson-Vanik amendment. Supporters of the amendment may find a good reason to keep imposing economic sanctions in Lavrov’s comments. The Jackson-Vanik amendment, adopted by the U.S. Congress in 1979, restricted trade with the Soviet Union and other communist countries that prevented the free emigration of Jews. According to Lavrov, the amendment contradicts the basic principles of the WTO because it discriminates against Russia. Russia is expected to shortly ratify all documents related to its WTO membership, which was finally offered on Dec. 16 after 18 years of negotiations.